This black and white photograph shows Edward Ferdinand Arn (1906-1998). 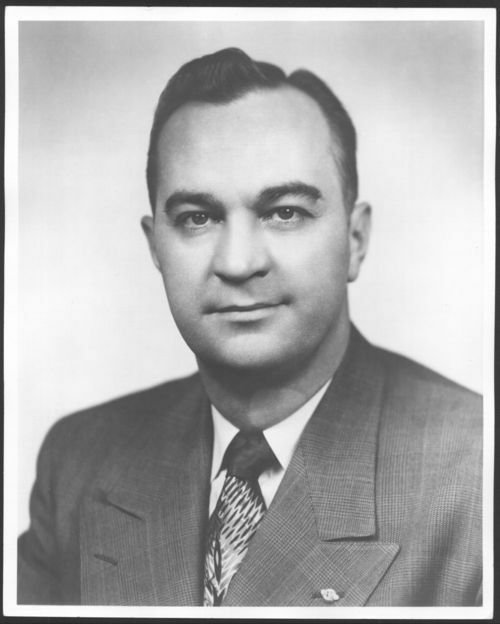 A lawyer and World War II veteran, Arn began his career in politics when he was elected as Attorney General of Kansas from 1947 to 1949. The following year, 1950, he was appointed justice of the Kansas State Supreme Court, (1949-1950). That same year in November, Arn was elected the thirty-second Governor of Kansas and served two terms from 1951 to 1955. During his administration several government agencies were established including the Kansas Turnpike Authority, the State Grain Commission, and the Kansas Veteran's Commission.